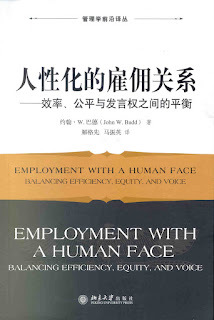 I just received news that my first book—Employment with a Human Face: Balancing Efficiency, Equity, and Voice—will be translated and published in Turkish. I have Dr. Fuat Man, a professor of HRM at Sakarya University to thank for this, and I’m particularly grateful and honored because he has already translated my The Thought of Work (Çalışma Düşüncesi). For personal reasons, I often think about Employment with a Human Face around the holidays (I’ll return to this below), and this news about a Turkish language edition has magnified these reflections. Employment is a critical feature of modern society. The nature of employment determines the quality of individuals’ lives, the operation of the economy, the viability of democracy, and the degree of respect for human dignity. It is therefore essential that modern society establish societal goals for employment. 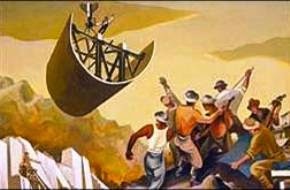 Economic prosperity demands that employment be productive, but should economic performance be the sole standard of the employment relationship? No. Work is not simply an economic transaction; respect for the importance of human life and dignity requires that the fair treatment of workers also be a fundamental standard of the employment relationship—as are the democratic ideals of freedom and equality. Furthermore, the importance of self-determination for both human dignity and democracy mandate employee input and participation in work-related decisions that affect workers’ lives. In short, the objectives of the employment relationship are efficiency, equity, and voice. This book is about these objectives, and the alternative ways in which they can be achieved. Maybe I’m biased, but I think this is as true as ever. Indeed, in recent years there has been an increased recognition of the deep importance of work, which magnifies the need to think seriously about the goals of the employment relationship, imbalances in this relationship, and to reject pure commodification and efficiency approaches. And there remains a pressing need to strive for a better balance in the workplace and in our societies. In fact, I just received a press release from the World Inequality Lab that confirms the tremendous increase in inequality that has occurred over the last few decades around the world, and calls for “more ambitious policies to democratize access to education and well-paying jobs in rich and emerging countries alike.” In other words, we need to actively strive for a better balance between efficiency, equity, and voice in and out of the workplace, even though this can be difficult, it requires institutional innovation, and there are diverse perspectives on how to best achieve this. Since the time I wrote Employment with a Human Face, there has been increased thinking around citizenship rights as an alternative to human rights. Although the differences can be subtle, citizenship rights stem from membership in a human community such as a nation, rather than from being part of overall humanity, and thereby more clearly place obligations on the nation to provide citizenship rights. 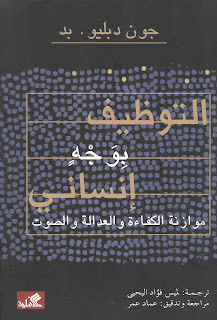 Moreover, whereas human rights are seen as universal, citizens have obligations as well as rights; so characterizing workers’ rights as citizenship rights rather than human rights also makes it easier to allow for workers’ interests such as equity and voice to be balanced with other objectives such as efficiency. The teenage Employment with a Human Face could be slightly more nuanced that the original by connecting equity and voice to citizenship rights rather than focusing on a human rights narrative. Public discourse that emphasizes competitive markets, efficiency, and marginal productivity justice; the frequent lack of appreciation for employee voice; the continued turbulence of the 21st century workplace; the focus of employment research on the operation of the existing processes (often solely with efficiency in mind); and the need for “explicitly recognizing the role of moral choices in the labor market” (Osterman et al., 2001, 12) all make it imperative to ground the study of employment in the objectives of the employment relationship—efficiency, equity, and voice. This grounding provides the basis for a fuller understanding of all aspects of the employment relationship, including the alternative behaviors, strategies, institutions, and public policies for balancing efficiency, equity, and voice. From such analyses can come workplace governance practices and systems that fulfill the economic and human needs of a democratic society and foster broadly shared prosperity. And if you are curious about why I often think about Employment with a Human Face around the holidays, here is my story. The very first copy of the book (so the very first copy of any book I had written), was delivered to my home on Christmas Eve in 2003. But no one heard the delivery person. My wife and I were up late getting things ready for Christmas morning. At around 1 in the morning (so it actually is Christmas by this point) a light snow is falling and for some reason I opened our front door, and a package falls into our front entry. Completely unexpectedly it was the very first copy of Employment with a Human Face. I won’t go so far as to say that it was a Christmas miracle because that would cheapen the significance of the holiday season, but it was a touching moment, complete with a gentle snow on an otherwise still night, that I will always remember. Happy Holidays, and may your 2018 be filled with efficiency, equity, and voice. Update (May 2018): Upon further reflection, a teenage Employment with a Human Face should also explicitly demonstrate that equity and voice include identity concerns.